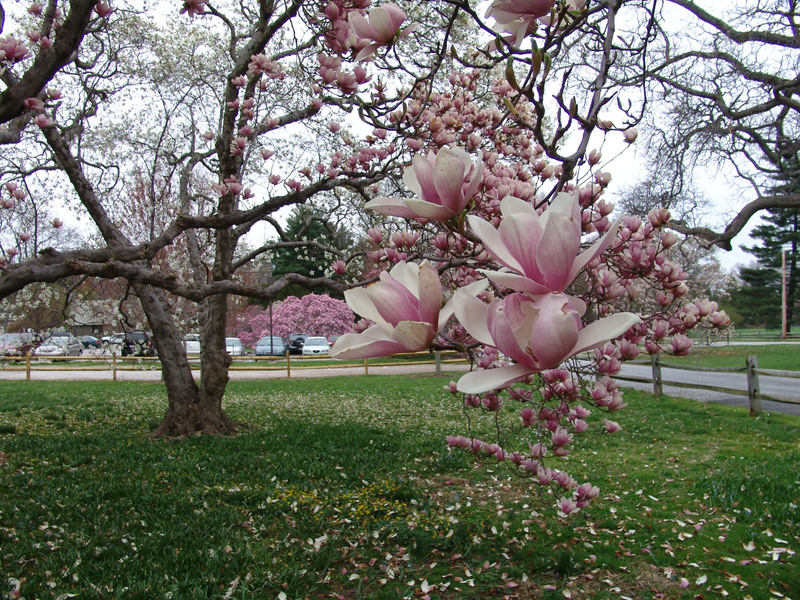 The size and abundance of magnolia flowers make them one of the most stunning groups of trees in the spring. 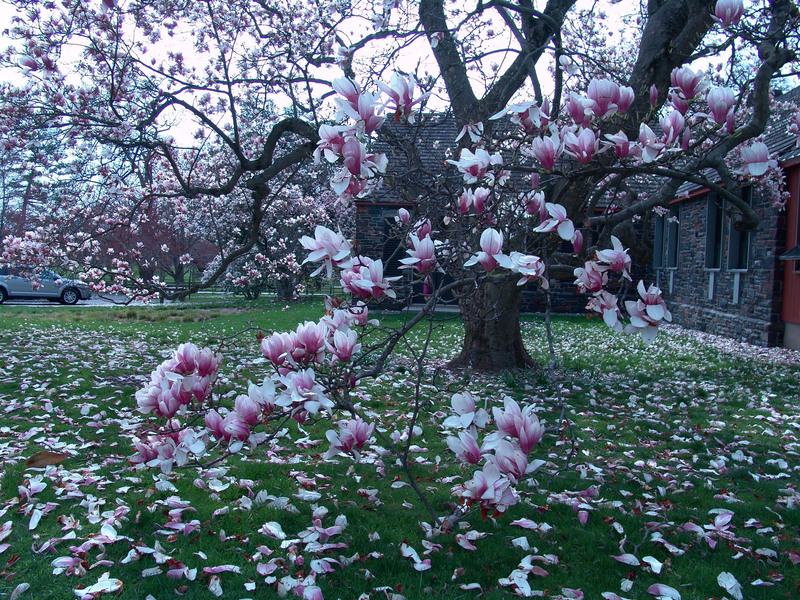 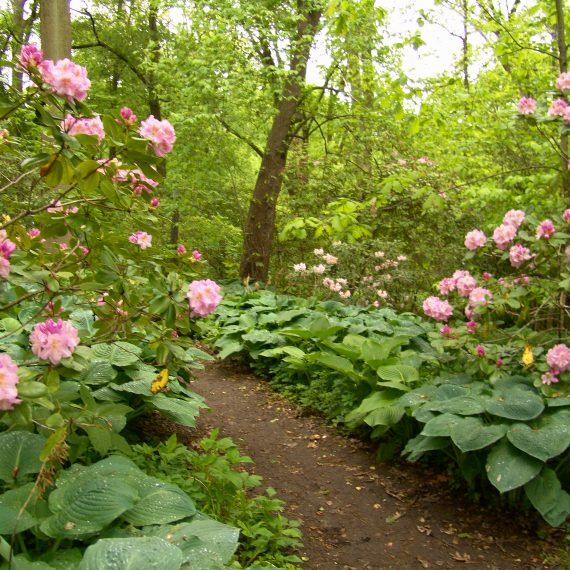 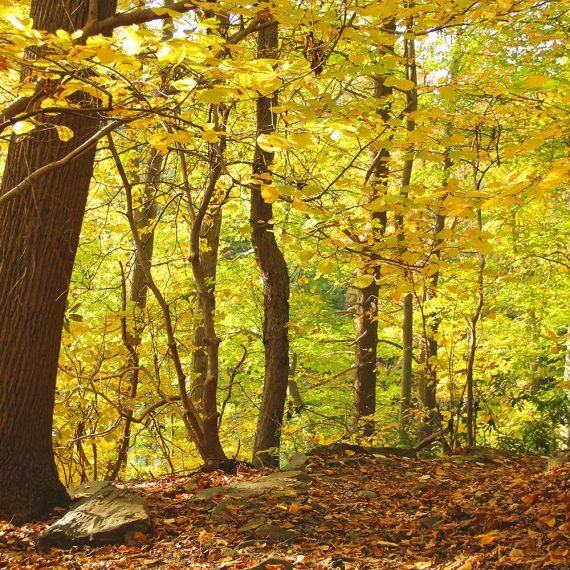 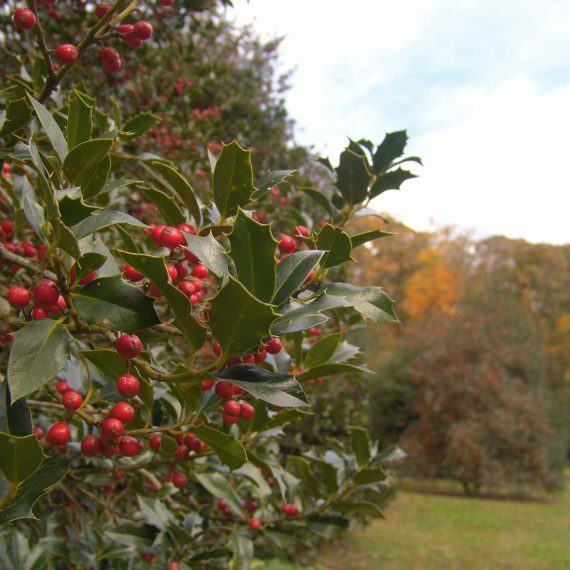 The Scott Arboretum holds a Nationally Accredited Magnolia Plant Collection, which now contains close to 130 different types. 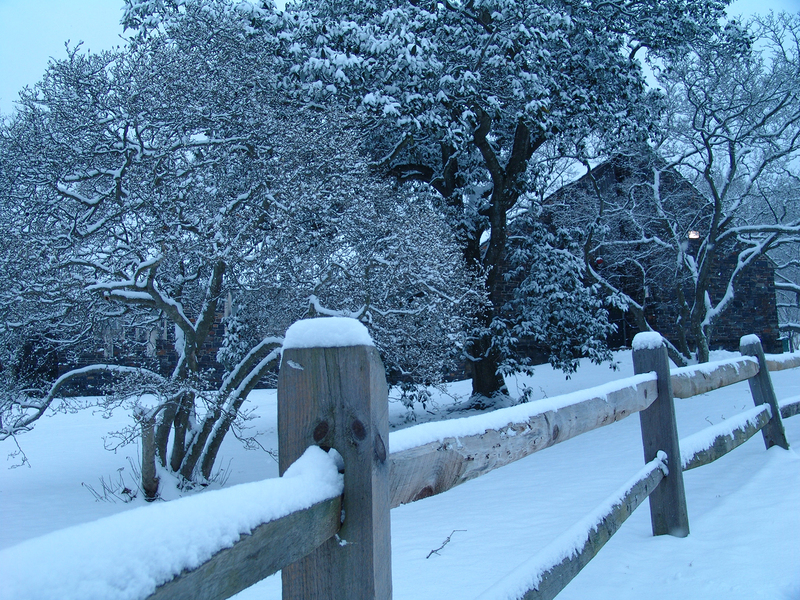 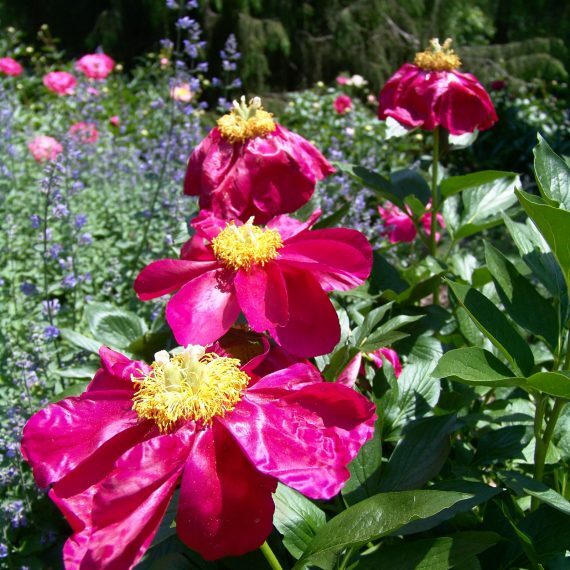 The Plant Collection Network which awards theses accreditations is part of the American Public Garden Association. 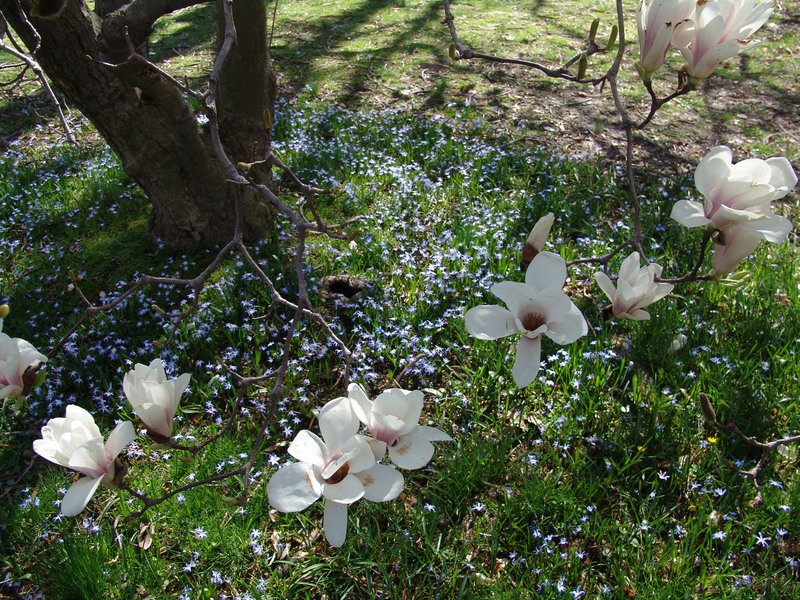 Many early-blooming trees can be found here, including M. denudata, M. stellata, and M. xsoulangiana, as well as the Little Girl Hybrids. 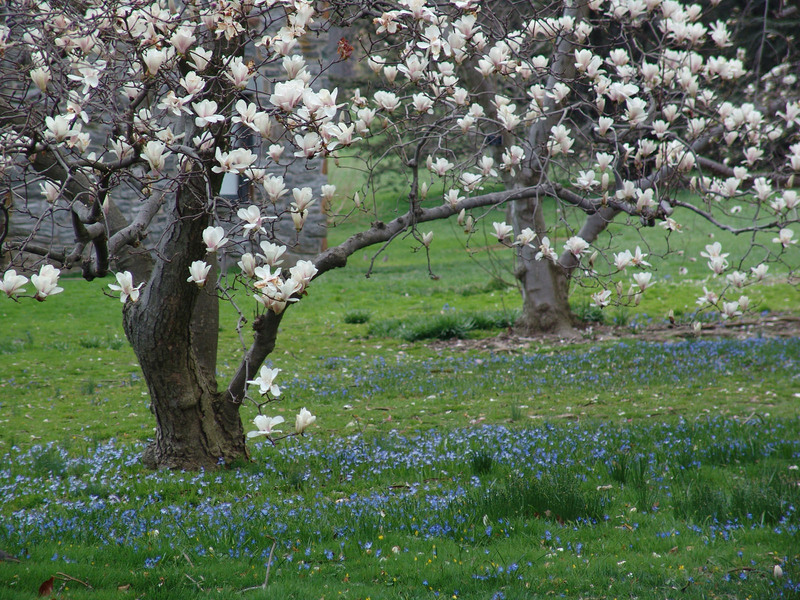 Yellow flowering magnolias such as M. ‘Judy Zuk’ can be found in and around the tree peony collection. 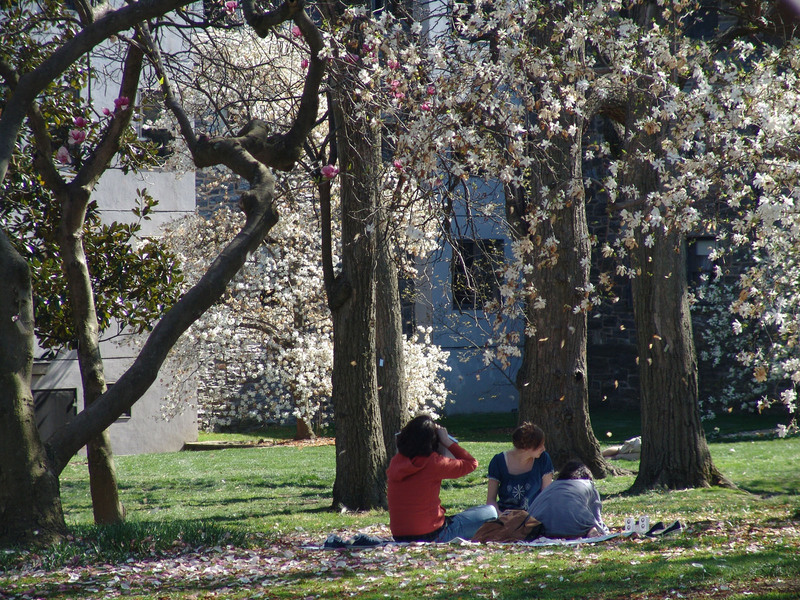 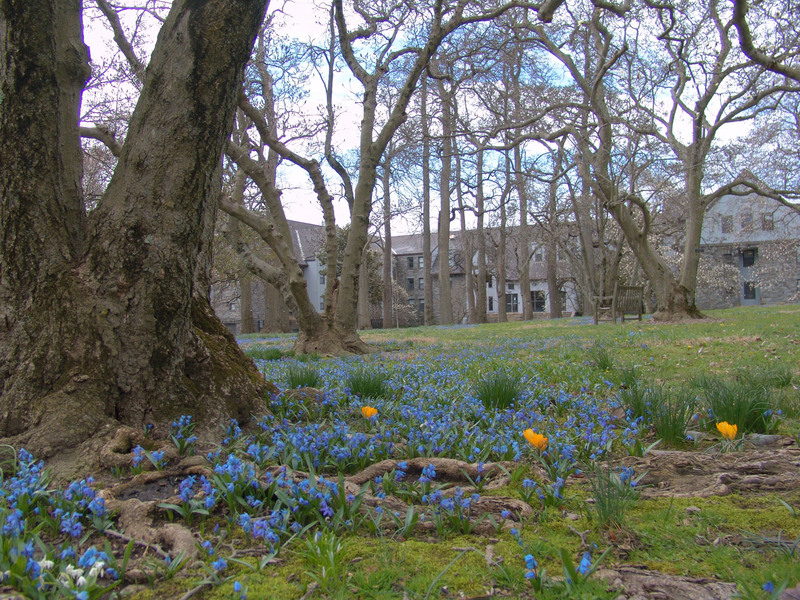 Later blooming species such as M. grandiflora, M. virginiana and M. sieboldii can be seen across campus, blooming well into the summer months.